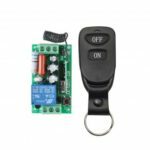 The RF Wireless Remote Control is easy to install and use, remote control system lets you take control of your gadgets, car and home or garage. 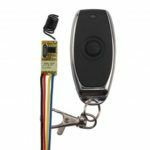 You can turn on/off the receiver with transmitter (remote control) from any place within a reliable distance. It control circuit off, replace the key switch output is normally open and normally closed contact switch. Save you from messy wiring and time consuming work. With high confidentiality, stable performance, low power consumption characteristic, jump line or dial the code switch coding. 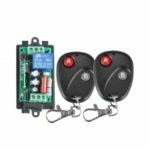 Wireless control, easy to install. 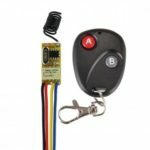 The receiver is with a key ring for you to attach to anything you want.